The THERMOSENSELAB specializes in mechanistic research in human perception and applied neurophysiology. Our research focuses on understanding how the human body interacts with our surrounding physical environments, both physiologically (e.g. body thermoregulation) and perceptually (e.g. 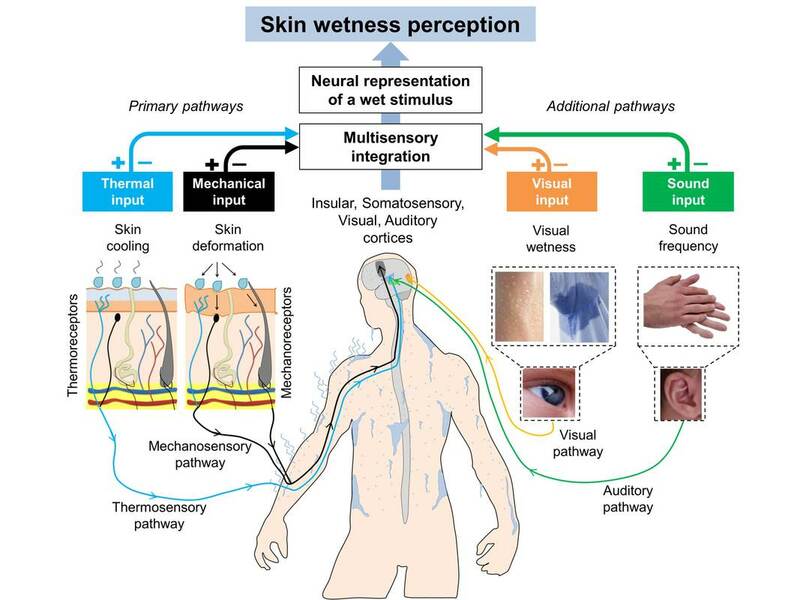 perception of temperature, wetness, touch and pain), and on how neurological diseases (e.g. Multiple Sclerosis, Parkinson's Disease) alter these functions. How does the brain sense temperature, wetness, and touch on the skin? How does skin sensitivity differ across the body and among individuals with neurological conditions? The applied implications of our research are in the context of informing and optimizing the design of objects, healthcare devices (e.g. prosthesis), clothing (protective and sportive), and environments to be used by both healthy populations as well as by neurologically impaired individuals. We believe the highest research impact can be achieved when academia and industry work together. Our research projects are often conducted at the interface between industry and academia and we are committed to bridge the gap between these worlds.